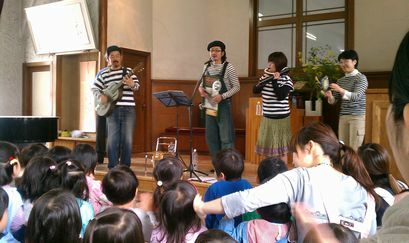 Shima-shima Boys, an acoustic band, came to the kindergarten. We enjoyed their music and sang songs with them. All children looked very happy. Of course, my little monster was swinging and dancing(^^).